Develop your career with full training, support, stability and a team culture. Join a growth brand. Not just another sales job room to build a successful long-term sales career. Pickerings, North QLD biggest automotive group. This job will go fast! Drive it like there is no tomorrow! Join our great Pickerings Auto Group team of sales professionals at our brand new Hyundai showroom in the heart of Townsville. Whether you are looking for a career change or product change this is the opportunity you have been waiting for. This is an opportunity to establish a position in a company small enough to know who you are but large and experienced enough to offer real potential for growth in your career. Pickerings Auto Group is has grown from one location to thirteen across Northern QLD representing eight manufacturers because of our commitment to technology and innovation and our ability to nurture talented staff. Starting with a structured approach to sales and product training, every member of the team receives personalised mentoring from a General Sales Manager with over 30 years’ automotive sales experience. Maybe you’re tired – dead tired – of selling widgets or washing machines, they all look the same after a while: white and widgety. but you still love the consumer interaction Or perhaps you’ve got other skills, understand high technology but your stuck in an office all day. Or maybe you are just passionate about cars and over being on the tools. You’ve probably heard that sales professionals have the highest income, so no wonder these roles attract the very best people. However, without training and support selling is far from easy; the survival rate of people starting in high-value sales roles is less than 10% within two years. Whilst for those that are suited to selling and are nurtured from the outset the rewards are spectacular. Pickerings Auto Group is that rare thing in the 21st Century automotive trade: a private company. Being a dominant member of the Townsville motor industry since the 1990’s means having the comfort, security and confidence of a top of the range SUV while, being a private company, we can turn on a dime like a City micro spotting the fast track through the traffic. So we have the resources to seize emerging opportunities to ensure our corporate growth, yet focused enough within to ensure the good work of all team members is recognised. 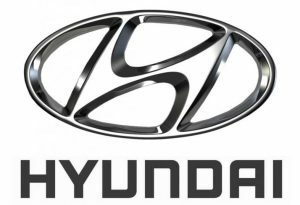 Celebrating 30 years in Australia in 2016 Hyundai is now Australia’s fourth largest, by units sold, automotive brand. Uniquely it is a manufacturer with extensive growth plans including the recent launch of the luxury Genesis range and development of new cell technology. This gives you an impressive selling range from sub-small fuel misers to performance saloons, people movers and four-wheel drive adventure vehicles; all of this with edgy and contemporary styling. Completed in September 2016 to the latest modern design to meet the demanding standards of a high-profile dealership. A beautiful space to work in equipped with the latest technology. Our dealership is able to offer a one-stop service including parts, used cars and finance. This means that you never have to risk a customer walking away because of finance or their trade in. Our excellent service centre means that we offer a genuine comprehensive after sales service which builds customer relationships into the future. We know everyone says this but I think when you meet us you will see what we mean. Pickerings in Townsville has a happy, mixed and diverse sales force who are highly successful individually and as a group. The Hyundai team is led by a sales manager with over 20 years’ experience who can help you out of any predicament during the early days. There is real cooperation in this team to ensure that all members are as successful as possible. If you wish to be considered for our team the application process STARTS with registering at the SIP site and completing the SIP assessment by pressing the button below. This entry was posted in and tagged 'Maya Saric', Hyundai New Car Sales job, Pickerings Auto Group, sales inventory profile, sales job in Townsville, Start to start in car sales by Maya Saric. Bookmark the permalink.